New York (AFP) - BB&T and SunTrust announced Thursday they will combine in a $66 billion transaction to create a regional banking giant in the industry's largest merger since the 2008 financial crisis. The two midsize banks operating in the fast-growing Southeastern United States described the move as a merger of equals that would enable them to compete against heavyweights like Bank of America and Wells Fargo and save some $1.6 billion in administrative costs. Shares of both companies soared on the announcement, which establishes the sixth-largest bank in the country by assets and deposits, and follows President Donald Trump's moves to cut corporate taxes and ease banking regulations imposed after the 2008 crisis. 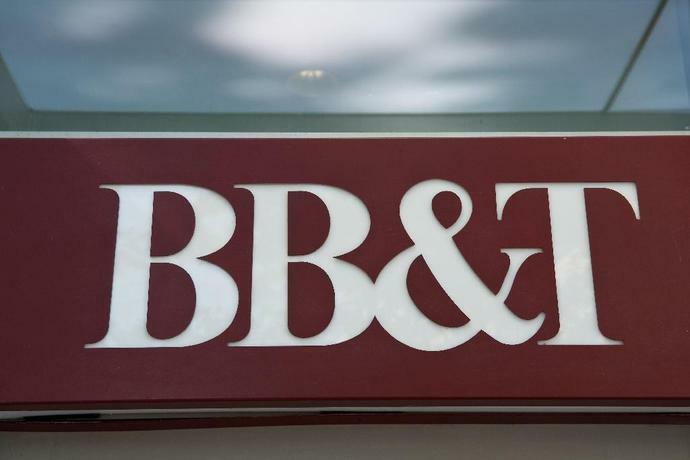 "This is a true merger of equals, combining the best of both companies to create the premier financial institution of the future," BB&T Chairman and Chief Executive Officer Kelly King said in the statement. "It's an extraordinarily attractive financial proposition that provides the scale needed to compete and win in the rapidly evolving world of financial services." Bank executives touted the benefits of combining their technology budgets to boost digital banking offerings as the industry scales back retail branches in response to shifting consumer habits. Despite overlapping in some markets, their joint client base is limited, the executives said in a conference call. The added heft from the merger is expected to boost lending capacities to the largest corporate clients, better positioning it against national banks that are also active in the region. Even with the added size, the company will represent only about a third of the lending and deposit portfolios of the largest US banks such as JPMorgan Chase and Bank of America. Matt Stoller of the Open Markets Institute, which follows monopoly issues, expressed concern however that the deal could further concentrate market power. "Number of banks in the US has fallen 40% since 2000. Concentration concentration concentration!" he tweeted. Bartlett Naylor, a financial policy advocate at Public Citizen, also criticized the transaction. "We don't think such a merger is going to be beneficial to consumers or employees," Naylor told AFP. "More banks is better than fewer banks." The merger comes with Democrats newly in control of the powerful congressional committee that oversees banking, signaling a tougher approach. Trump's administration has sought to cut regulations in a variety of sectors, and Congress eased scrutiny of smaller banks but those with more than $250 billion in assets still face stringent oversight. The transaction, which was described by some leading financial media as a BB&T acquisition of SunTrust, will entail a swap of 1.295 BB&T shares for each share of SunTrust. BB&T will hold 57 percent of the combined company. Each company will appoint half the seats on the board of directors. King, the BB&T chief executive, will lead the combined company through September 2021, when he will become executive chairman. SunTrust Chief Executive William Rogers Jr, who will begin as president and chief operating officer, will take over as chief executive when King steps down. Atlanta, Georgia-based SunTrust, and BB&T of Winston-Salem, North Carolina, said the combined company -- to be based in Charlotte, North Carolina -- would operate under a new name and brand, reflecting "the equal contribution both banks bring" to the venture. 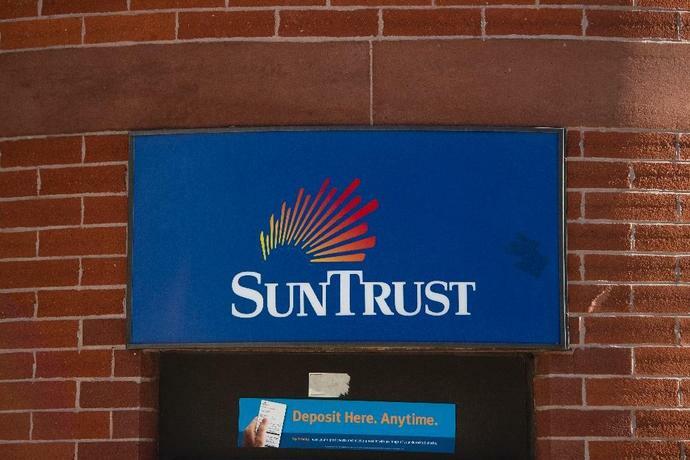 Shares of SunTrust finished up 10.2 percent at $64.72, while BB&T gained 4.0 percent to $50.46. The deal "could be prescient of similarly-sized transactions, particularly in the $100-$250B asset range, as banks seek to scale to compete with larger banks," said CFRA Research analyst Harrison Webster.